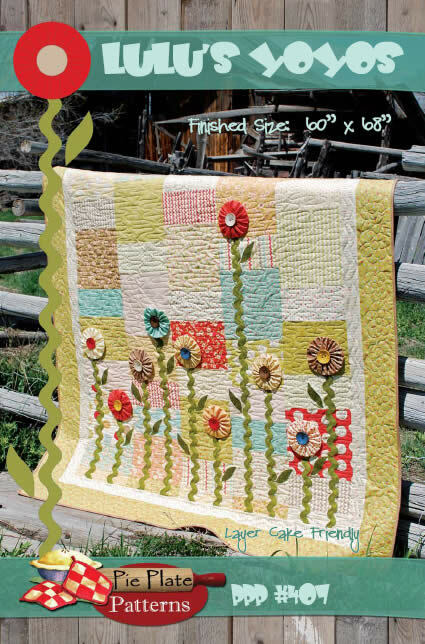 This cute 60" x 68" quilt is made with Whimsy by Moda Fabrics. 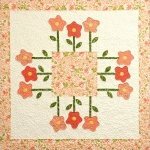 Just in time for summer, this quilt features dimensional flowers with ric rac stems. 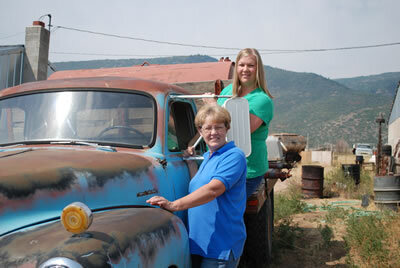 Brenda and Bonnie Bailey, a mother-daughter team are the owners of Pie Plate Patterns. 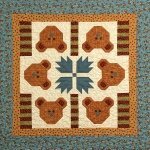 They made the decision a couple of years ago that they wanted to facilitate the success of others by designing simple quilt patterns that everyone could attempt. 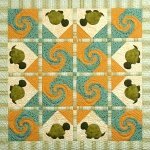 They teamed up to create adorable quilt patterns. To date, they've published 4 books and several individual patterns and they have ideas for so many more! All of their books have "Pie" in the title and dessert recipes inside. The Baileys live in Fountain Green, Utah, a small town in central Utah and they enjoy all of the simple pleasure that country life affords. Do you like Brenda & Bonnie's designs?